The UK re-release of Chariots of Fire to coincide with the London Olympics gives us a golden opportunity to re-examine the film which revitalised the British film industry. Long after writer Colin Welland's fateful cry of "The British are coming!" at the Oscars, the film still stands as one of the defining moments in 1980s cinema, for better or worse. Neither the disappointment of Hugh Hudson's subsequent career, nor the seemingly endless stream of parodies and imitations, has tarnished what remains a truly great piece of British filmmaking. 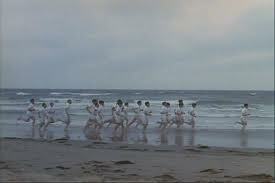 For those of us not caught up in the patriotic fervour of the Olympics, it would be tempting to dismiss Chariots of Fire as an outdated, backward piece of filmmaking. Lindsay Anderson, who has a supporting role in the film, was very scathing about the seeming resurgence of British filmmaking following its Oscar success. The pioneer of Free Cinema and the British New Wave claimed that, in their quest for international success, British films had abandoned the unique style and adventurous spirit that they had in the past. 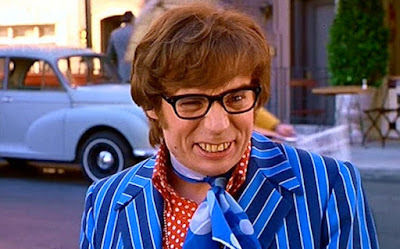 He remarked that "the British came, but their first-class air fares were paid for in dollars." In spite of Anderson's comments, which carry more than a grain of truth, it is very difficult to come out of Chariots of Fire without having had one's spirits even slightly raised. While the tone of Hudson's film is light and respectful, not to say uplifting, it scores over many subsequent epics on the grounds that it actually has something to say. It even knocks Gandhi into a cocked hat by giving us characters to admire without holding them at arms' length. It wants us to understand the history through the pleasures and pains of the people who made it, not by remonstrating about the reputations they accrued. 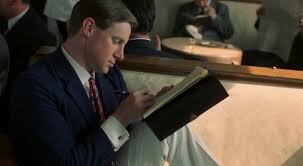 David Puttnam once described Chariots of Fire as being essentially about "Christianity and Judaism, getting on". He wanted to make a film about the relationship between the Abrahamic faiths, at a time when anti-Semitism was as rife in British culture as Christianity was strong. 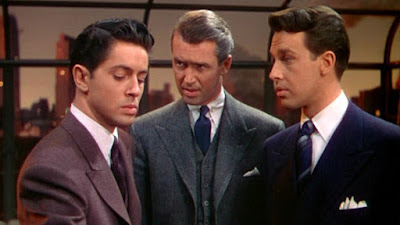 The film depicts these anti-Semitic tendencies very delicately, with a series of barbed off-hand comments about Harold Abrahams "not going to be singing in the church choir" or being "semi-deprived" because of his background. But Hudson is also careful not to labour the point, playing on the absurdity of his predicament in the restaurant scene, where Sybil accidentally orders two plates of pigs' trotters. The film shows a great amount of reverence for the respective faiths of the central characters. 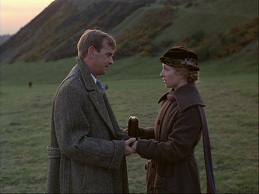 While it doesn't ask the kind of deep, difficult spiritual questions that something like Shadowlands does, nor does it shy away from demonstrating the problems that come from such devotion, whether it be Eric's quarrels with Jennie about missionary work or his refusal to run on the Sabbath. In an age where religious belief is dismissed as always being irrational, idiotic or rooted in hatred, it is refreshing to see a depiction of religious belief (be it Christian, Jewish or otherwise) which recognises the good intentions of the people upholding those beliefs and the positive impact which they can have on one's character and works. Alongside its examination of the practical workings of faith, Chariots of Fire also tackles the issue of sportsmanship and the reasons why people may represent their country, whether in the track and field or on the battlefield. 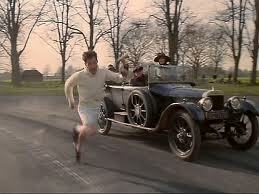 Both Eric Liddell and Harold Abrahams have multiple motivations which lead them to run for Britain. Neither of them are doing it explicitly for their country, as shown by Liddell's resistance to the Prince of Wales about running on the Sabbath or Abrahams' personal obsession with beating Liddell. While Abrahams' relationship with God is rather ambiguous, Liddell runs because that is God's purpose for him at this point in time. 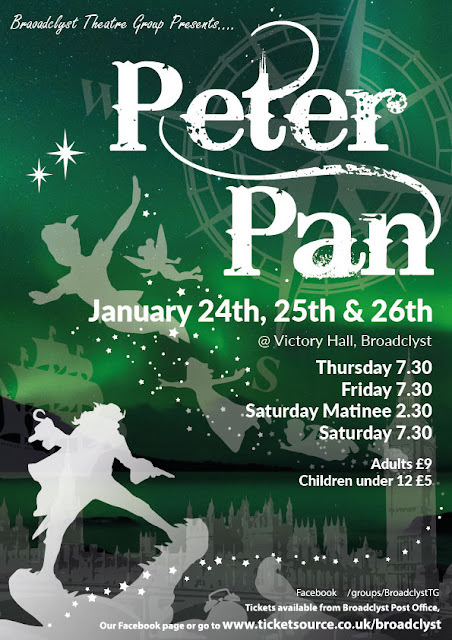 The affections of women also play a role, with Liddell looking to reconcile with his sister Jennie and Abrahams vying for the affections of Sybil. 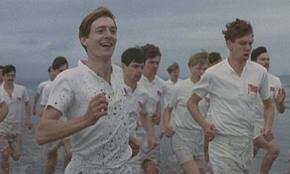 For a film which appears so reverential and respectful towards British institutions, Chariots of Fire does tap into the erosion of old values by new ideas that emerged after the First World War. 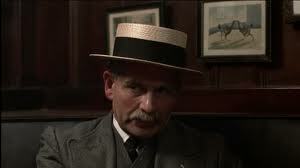 In one of its best scenes, Abrahams is confronted by the Masters of Gonville and Caius about him employing a professional athletics coach in the shape of Sam Mussabini. They claim that it is against the amateur spirit of athletics in general and the Olympics in particular, accusing Abrahams of compromising himself and bringing their colleges into disrepute. Abrahams, by contrast, sees the Masters' conception of sportsmanship as an outdated relic. The ruthlessness he exhibits in his preparation foreshadows the determination of the athletes we recognise today, indicating the kind of selfless spirit which has become diluted and eroded as more of Abrahams' archetypes have passed through all forms of sport. Certainly the 1924 Olympics as depicted in the film bear very little resemblance to the modern-day Games; you won't find athletes in 2012 using trowels to dig out their starting marks, or passing each other notes of encouragement. Chariots of Fire may be British with a capital 'b', but it doesn't fall into the obvious traps that would hamper later export-driven efforts from the likes of Merchant Ivory. The aesthetic of 1920s Britain is very well-evoked, and it takes a while to adjust to all the social niceties of post-war England; to paraphrase Mark Kermode's comment about The Shawshank Redemption, there's a whole lot of chariots before you get to the fire. But once you are in the zone the characters cease to feel like stereotypes of British culture, and for all its painterly cinematography the film has enough pace to sustain itself beyond its beautiful landscapes. Perhaps the most famous aspect of Chariots of Fire is the soundtrack by Greek composer Vangelis, who would later provide the soundtrack for Ridley Scott's Blade Runner and 1492. 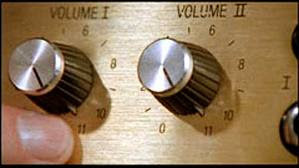 Puttnam, who worked with him on Midnight Express, intended to use electronic music as a counterpoint to the traditional songs of the period, setting Abrahams' performance in HMS Pinafore against the synth-driven montage of Liddell running over the Scottish hills. 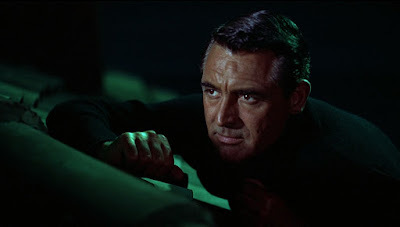 For the famous opening scene on the beach, Hudson originally wanted to use 'L'Enfant', which Vangelis had recorded for one of Hudson's documentaries. 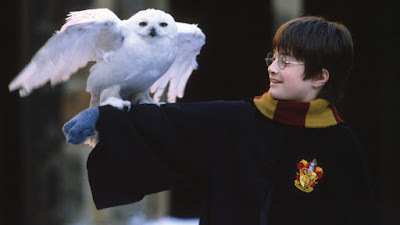 Vangelis bet the director that he could come up with something better, and the rest is history. The brilliant soundtrack, coupled with the now-synonymous use of slow-motion, hints at the real power and purpose behind Chariots of Fire. Above and beyond its themes of patriotism, spirituality, duty and devotion, it is a film which seeks to inspire and incite fervour, whether it be pride in one's country, admiration for these men or awe at the kinds of sacrifices they made. Hudson depicts the characters so believably and naturalistically that you would need a heart of stone not to be won over by them. 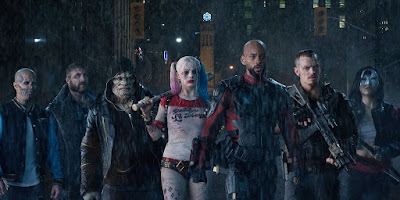 Even those of us who aren't ardent patriots can enjoy it without feeling guilty; the film is celebrating the individuals who represented Britain, rather than the act of representation itself. 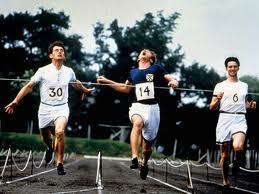 The performances in Chariots of Fire are of a very high standard. Ben Cross brings real depth to Harold Abrahams, which makes it all the more disappointing that his subsequent career has brought him so relatively little recognition. 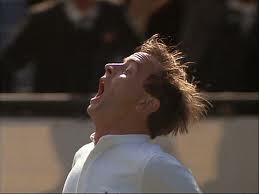 The late and much-lamented Ian Charleson is superb as Eric Liddell, inhabiting the character to the point of writing much of his own dialogue (for instance, his speech to the athletics crowd gathered in the rain). 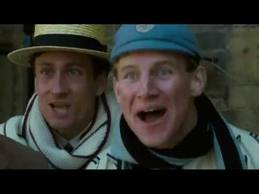 There is also good support from Lindsay Anderson and Sir John Gielgud as the masters of Gonville and Caius. While Gielgud is happy playing to type, Anderson retains a wry awkwardness, perhaps imagining the fate of future dons in his brilliant satire If.... from twelve years before. 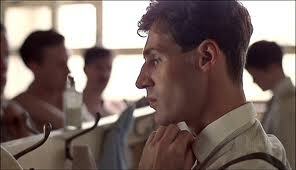 Chariots of Fire is a great film which is more than deserving of a re-release this summer. 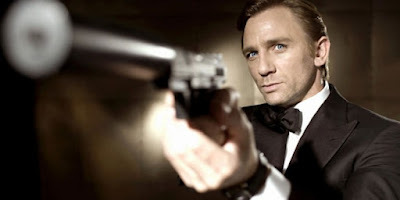 Its gentle pacing and stiff-upper-lip may prove impenetrable to some, and the legacy it has left behind for British filmmaking has not been one of unmitigated benefit. But to judge it on its own terms, outside of these Olympics or any other, it is a triumph of British cinema, with emotional depth and intelligence to spare. It demands to be seen by anyone with an interest in British film, and now is the perfect time to do so. 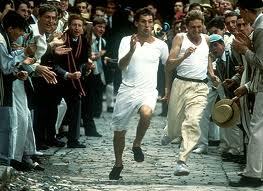 Chariots of Fire will be re-released in selected UK cinemas on July 13th.